Do you ever have such a crazy craving that you’ll do anything to satisfy it? That was me yesterday, craving lo mein with no good Chinese restaurants around me to satisfy this craving. 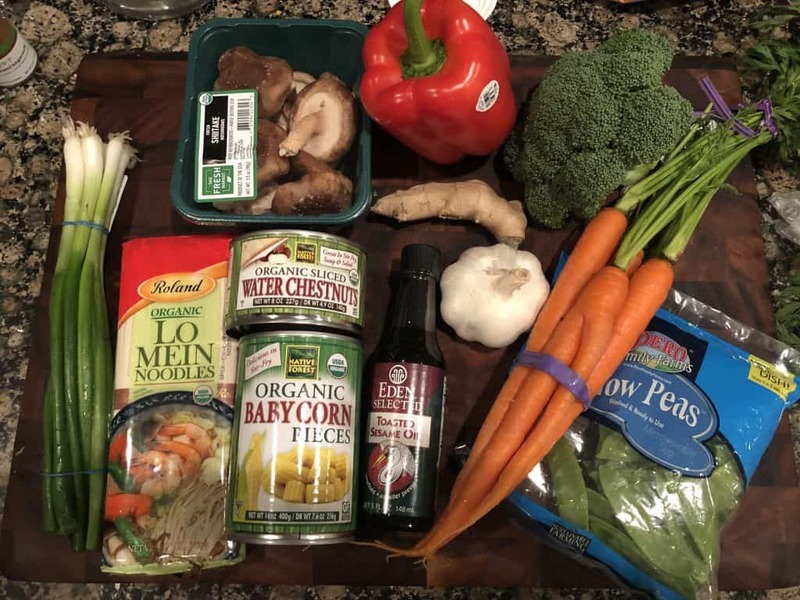 I went to THREE grocery stores (thank god they are all across the street from each other) because my usual was out of a lot of simple ingredients. I was a woman on a mission! Lo mein can be made with chicken, beef, shrimp, etc. but I was craving vegetables. I got carrots, snow peas, broccoli, shiitake mushrooms, red bell pepper, baby corn, and water chestnuts. Can we take a minute to shout out baby corn and water chestnuts? Why are they SO good. 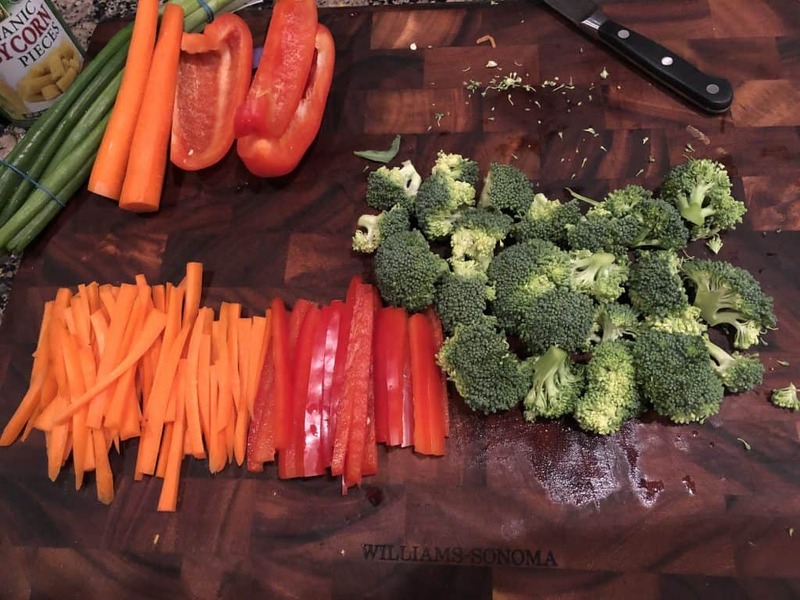 Prep all your veggies! I julienne cut (thin long sliced) my carrots and bell pepper. My knife skills for sure need improvement, I know those carrots above are a hot mess haha. 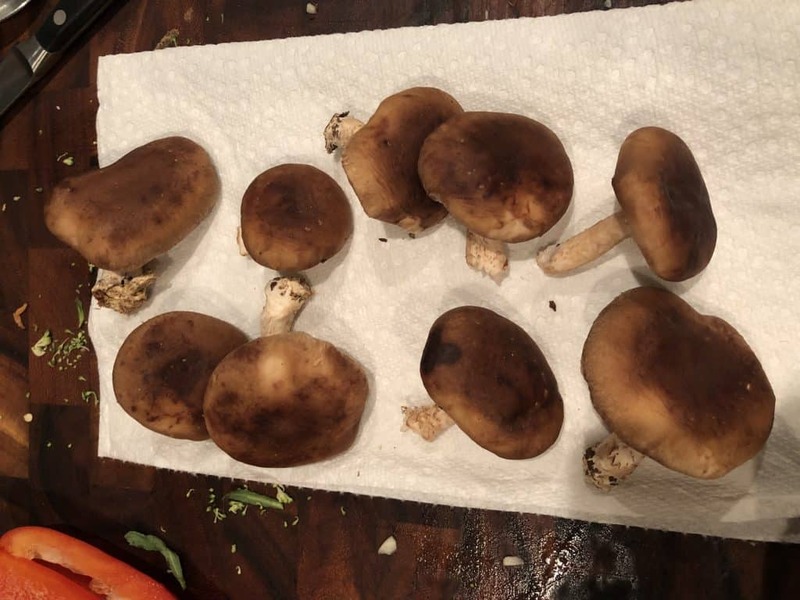 I never wash my mushrooms with water. Mushrooms are sponge-like and will soak up so much water. When you cook them they even release liquid, so do not wash them. Instead, I take a towel/paper towel and scrub them clean. Then I de-stemmed and sliced. Another useful tip is for peeling ginger. 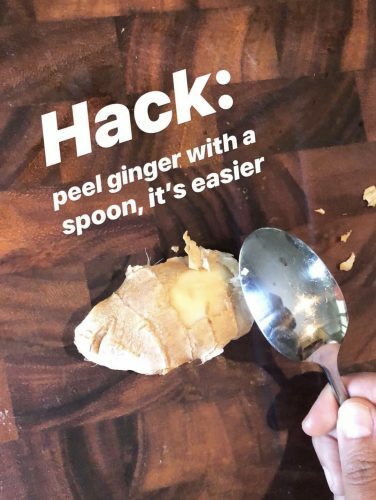 I always peel my ginger with a spoon, it is very quick/easy. When you cut it with a knife you’ll end up cutting out some meat, the spoon allows just the skin to peel off. 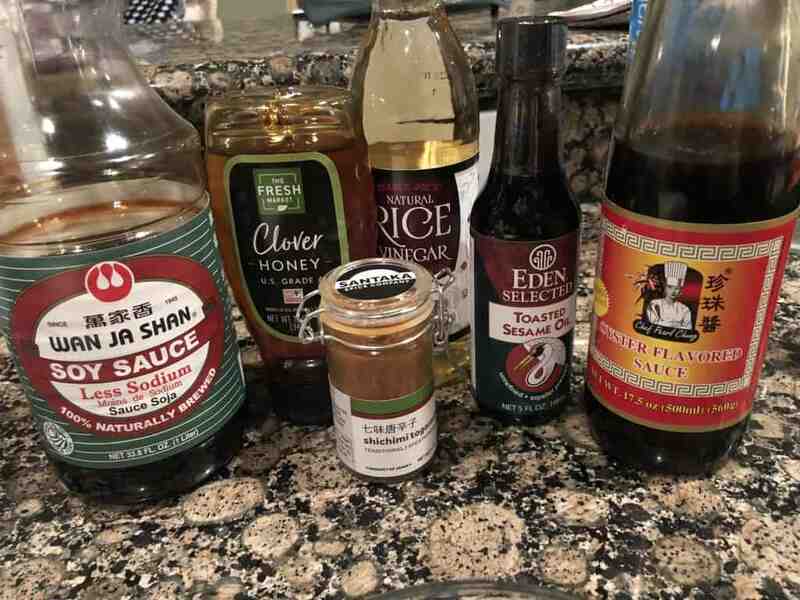 These are the sauces I used for the lo mein, which I think is the most important part! This is where all the flavor comes from. 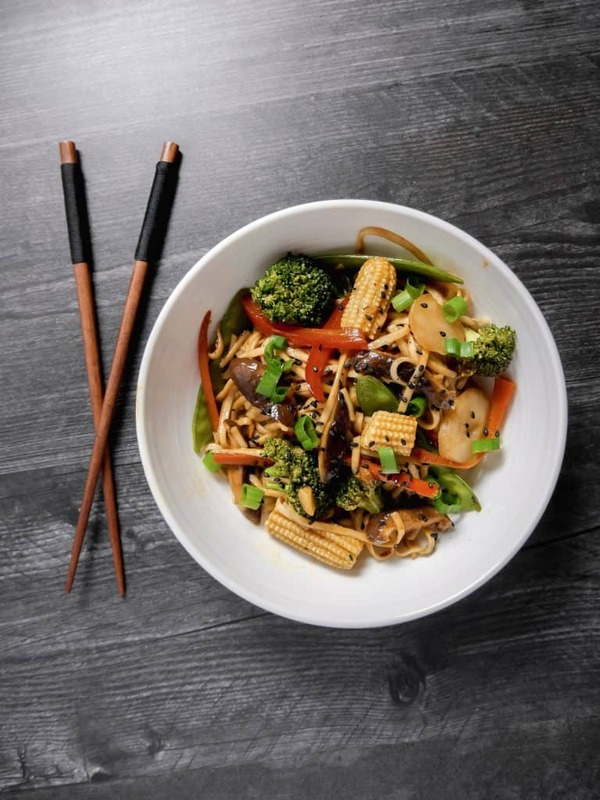 You have to be careful with asian sauces because they tend to be high in sodium, so when buying always check the labels for the less sodium options. (Not pictured above was the Huy Fong Chili Garlic Sauce, red with the green cap). 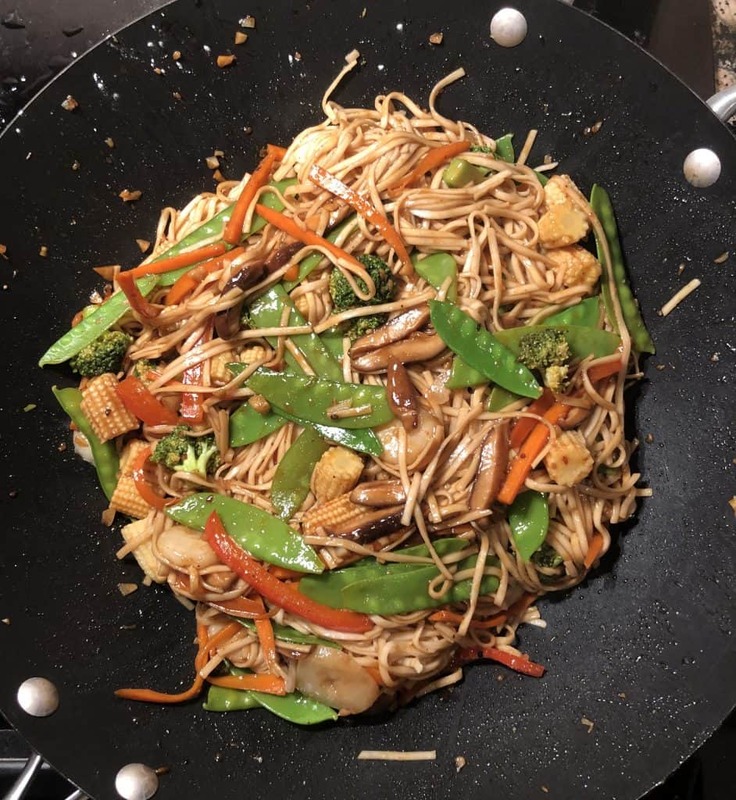 I used my wok as a cooking vessel to prepare this dish. 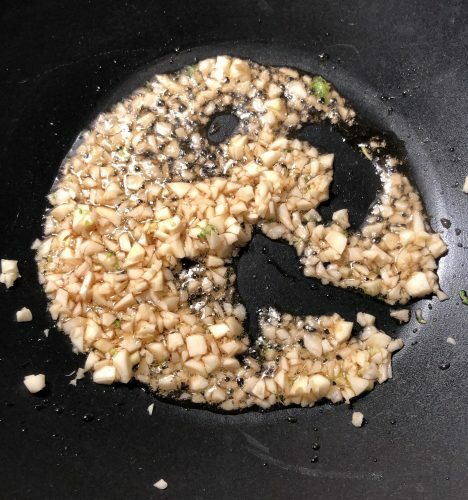 You always want the wok really hot before adding your ingredients. I used sesame oil and threw my garlic in for about 30 seconds, you immediately hear that sizzle (music to my ears). Then I added the carrots, broccoli, bell pepper, and mushrooms because those take a little longer to soften than the rest of the ingredients. 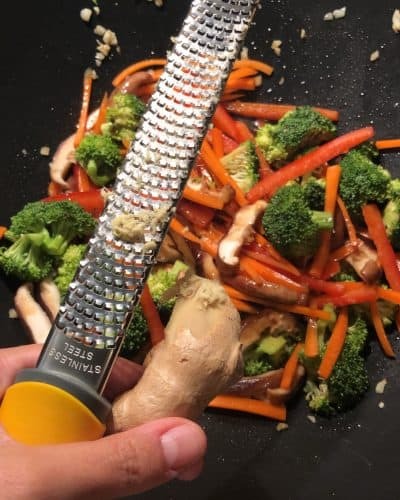 I grate my ginger with a microplane to ensure it is finely grated. 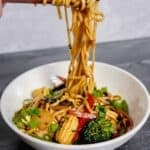 Fast forward, once the veggies have become fork tender I added the baby corn, water chestnuts, snow peas, cooked noodles, and the rest of the sauce. Using tongs, I tossed everything to ensure the sauce coated everything. Taste and add more soy sauce if desired. Top with scallions, sesame seeds, and serve! Who needs take out when you can make it even better at home! 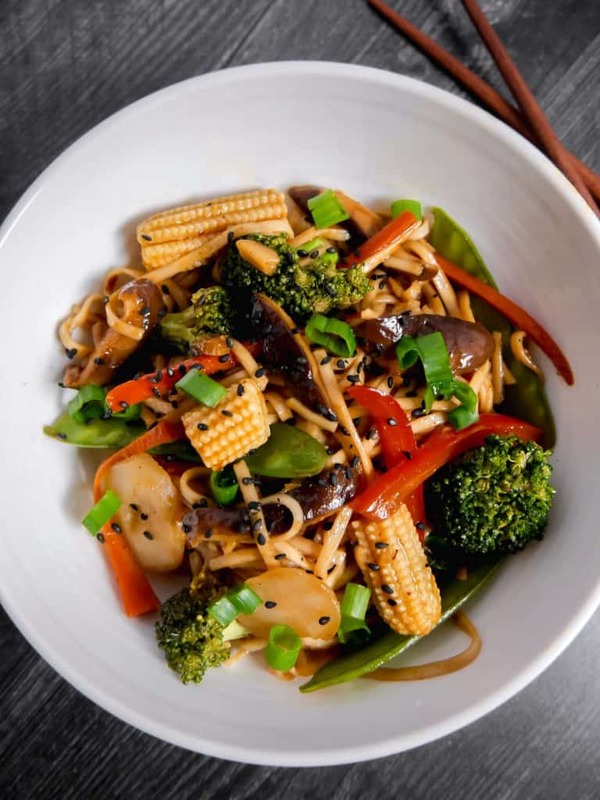 Better than take out vegetable lo mein, full of vegetables, full of flavor. 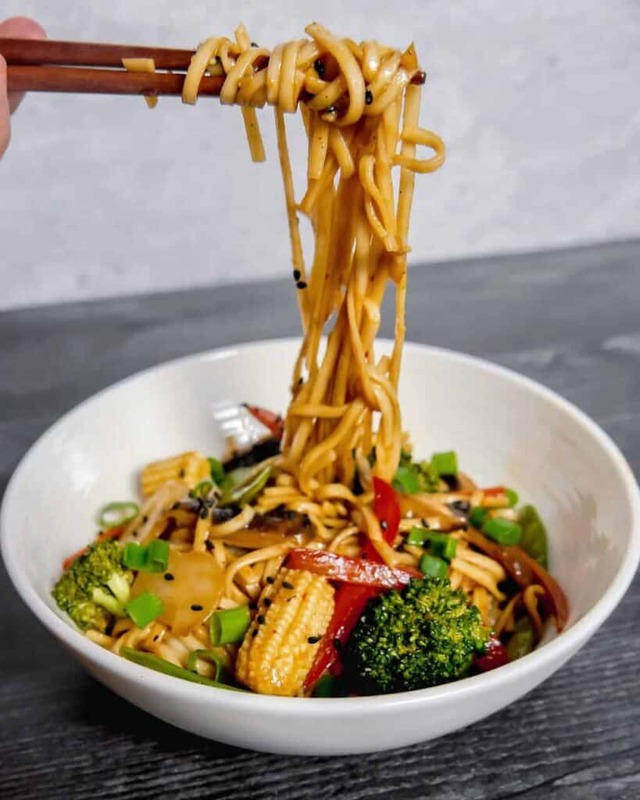 In a large pot, boil water and cook lo mein noodles till al dente (do not over cook). Drain, rinse, toss with 2 tbsp of sesame oil, and set aside. In a small bowl, combine all the ingredients of the sauce (minus the corn starch) and whisk until combined. Set aside. In a wok or large skillet over medium high heat, add 2 tbsp sesame oil, garlic, and grate ginger. Cook for 30 seconds. Add the carrots, mushrooms, bell pepper, broccoli, and half of the sauce. Cook until the vegetables are fork tender, about 4 minutes. Add in the snow peas, baby corn, and water chestnuts, stir to combine. Add in the rest of the sauce and the 1 tsp of corn starch to thicken the sauce, allow to cook for a minute. Add in the noodles, using tongs or two utensils, toss all the ingredients together allowing the sauce to coat. Taste and add more soy sauce or seasoning if desired. Garnish with scallions and sesame seeds. Serve and enjoy! Sounds delicious! Especially with the addituon of togaroshi! Thanks jo! 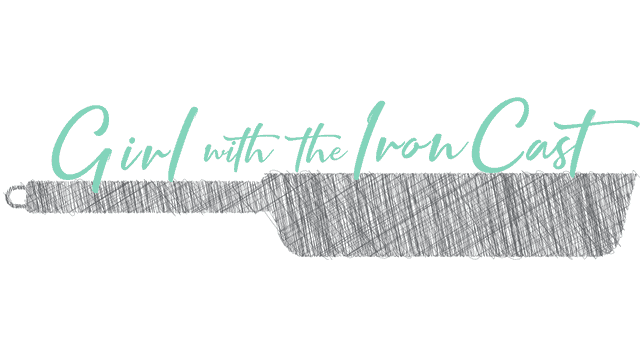 I love that spice blend so much, such a great addition. Great recipe. Better than any take out I’ve had and hubby loved it! Plan on making on a regular basis and mixing it up with the veggies. Thanks Pamela! I’m so glad you and your husband enjoyed it!